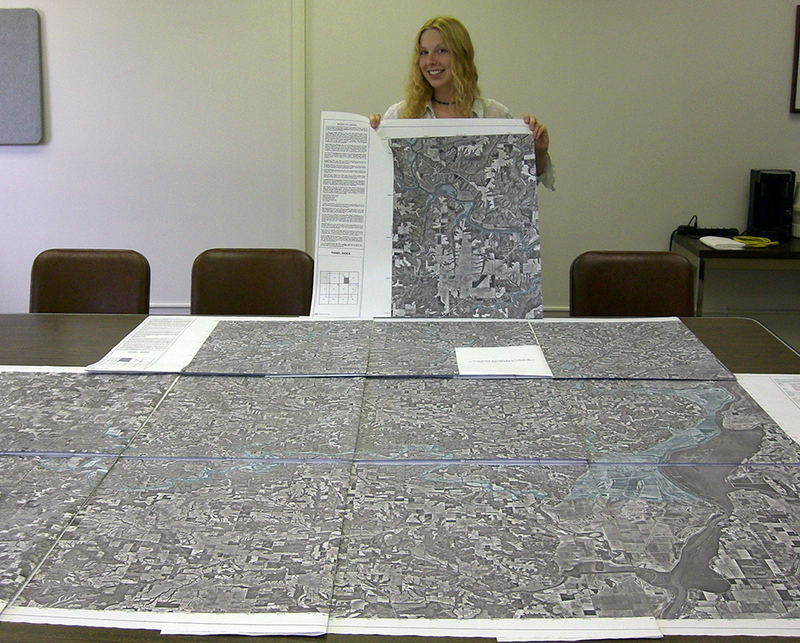 University of Illinois alumna Zoe Zaloudek first began working at the Illinois State Water Survey in May 2005 as a GIS intern for FEMA’s Floodplain Map Modernization project. 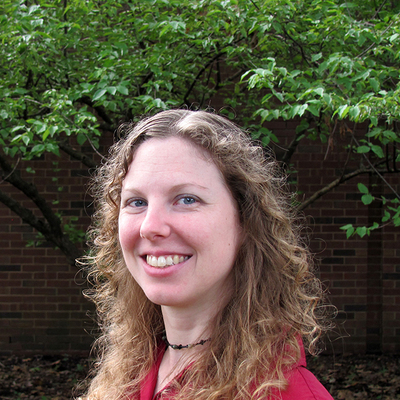 She joined the Midwestern Regional Climate Center in March 2010. 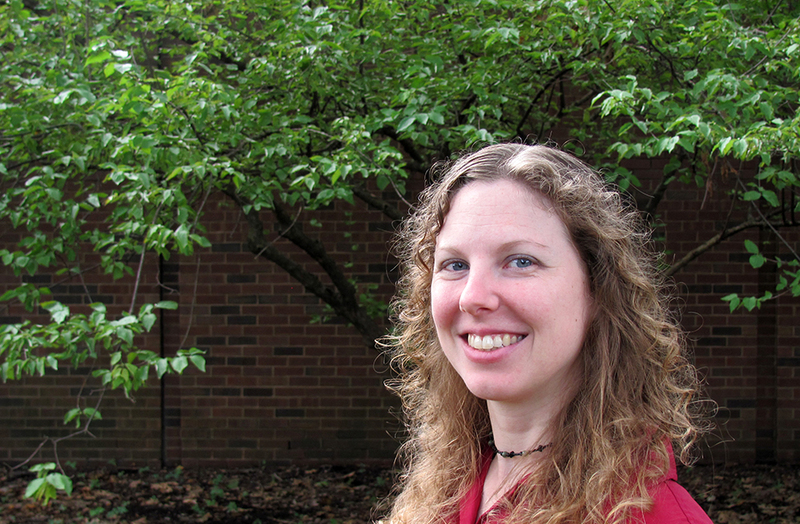 As a GIS specialist, she works on the creation and automation of daily temperature and precipitation maps for the Midwest Climate Watch, developed web mapping applications, and works with the Illinois State Climatologist to make maps depicting extreme weather events. Q. What did you study to prepare for your current position, and what drew you to your field? A. My bachelor’s degree is in geography, and my master’s is in geographic information systems (GIS). When I started college, I didn’t have a major. After taking a variety of classes (including astronomy, photography, and urban planning), an advisor in the general curriculum suggested I take a geography class and consider GIS. I had never even heard of GIS back then, but decided to follow his advice and took a social geography and a cartography class. I ended up really liking the classes and took every GIS course I could before graduating. That advice was the best I received during my entire college career. A. The variety. I love the fact that I can work on multiple projects concurrently and enjoy the feeling of accomplishment when a project is complete. Also, I like being able to show some of my work (mostly web mapping applications) to my friends and family. Q. What part of your job would be surprising to non-scientists? A. Two things: First, we haven’t mapped everything yet! There are still lots of things to be discovered about the world using both old and new data. Second, cartographers are not just old guys with beards in dimly-lit rooms drawing maps of countries. We can look like anybody and can map just about anything. Q. What project are you most proud of? A. One of my favorite web mapping applications that I helped create is the Midwestern Regional Climate Center’s Tornado Tracks Tool. Q. What advice would you give to other #womeninscience? A. Don’t let social stigma keep you from exploring "nerdy stuff" or taking heavy-duty STEM classes like calculus, physics or computer programming. That sounds like pretty generic advice, but it can be hard to follow at times! A little self-confidence goes a long way. I feel that when you’re comfortable with yourself (personally and professionally), it creates a kind of positive energy about you, and other people can read that, too.